If your package doesn't arrive on time, you might get your shipping fees refunded — or a few bucks in promotional credit. Amazon offers many perks to people with a Prime subscription. But last fall it did away with one of the bigger benefits — and Prime members aren't happy. The online giant used to offer members an extra month of Prime for free if an order with a guaranteed delivery date arrived late. Unfortunately, now you'll be lucky to receive a small credit from Amazon if your package doesn't arrive on time. No More Free Amazon Prime? Amazon now refunds shipping fees if a package doesn't arrive by the guaranteed delivery date, according to the company's policy on the topic. If your Amazon order arrives late, you could receive between $5 and $10 in promotional credit. The language is a little vague, though, as Amazon states, "If we provide a guaranteed delivery date on the checkout page, your shipping fees may be refunded if we miss our promised delivery date." This phrasing indicates you might have to jump through hoops to receive a mediocre appeasement. Bottom line: It might not be worth your time. But how does the policy change apply to Prime members? They used to be eligible for a free 1-month Prime extension, and they already get free shipping in most cases. DealNews readers say Amazon has told them they could receive between $5 and $10 in promotional credit now, depending on the value of the items that arrive late. But when Prime members do need to pay for delivery, shipping fees can be as low as $2.99. So it's not guaranteed you'll receive that higher credit. How Do You Get a Shipping Refund From Amazon? Your order has to meet several requirements if you want to qualify for a shipping refund. For one, you have to place the order before the "order within" window has closed. And if your order includes products that aren't eligible for guaranteed delivery, you must choose "Ship my items as they become available" when placing your order. Amazon also notes the guarantee isn't valid when situations arise that are beyond its control. It states that "delivery scans might be inaccurate," as well — which could theoretically absolve Amazon of any blame in many cases. Importantly, Amazon 2-day shipping could also take longer than you'd think. Most customers assume the clock starts as soon as they place an order, but that's not true. In fact, Amazon notes that if items aren't in stock or otherwise immediately available, the 2-day period doesn't start until the items actually ship. Case in point: User dmiles521 was told that if an item was in stock and Prime eligible, and shipped a week after the order date, as long as it arrived within two business days, it would still count as meeting the 2-day shipping guarantee. Meaning it wouldn't be eligible for a refund. How Did the Old Amazon Prime Policy Die? Amazon used to provide Prime members with a free month of the subscription service if a package didn't arrive by its guaranteed delivery date. Whether by calling, emailing, or live chatting, our readers successfully received an extension in several cases. Some boasted about getting six months or even a full year for free due to this perk. However, in July 2017, we began to see complaints that the policy was no longer being honored. 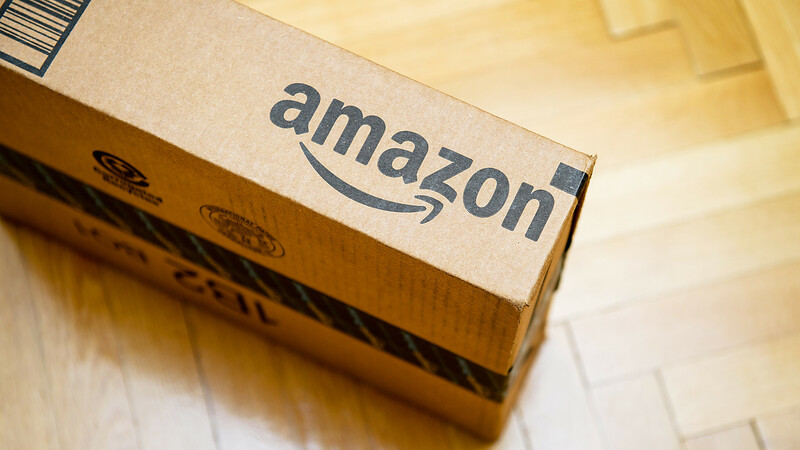 In 2018, shoppers began receiving Amazon credit for late packages, instead of extended Prime subscriptions. In the comments of a previous DealNews article, several users spoke out about their issues. For example, in March 2018, user shoemkr27 noted they didn't outright receive a free month of Prime after inquiring about it, but they were credited with $13 to cover the cost of another month of the service. Six months later, user gck105 said they were offered a $5 promotional code rather than a free month of Prime. And user jackson.austinson reported in November 2018 that the $5 promotional credit did seem to be the most popular measure taken, although they noted Amazon could increase the credit to $10 or $15 in some circumstances. Don't expect Amazon to refund any shipping fees easily. You'll still need to contact Amazon, and you might have to be persistent. But remember to be polite! One user told us that pushing too much can backfire; apparently certain Amazon customer service reps aren't opposed to closing user accounts. Other users have reported that Amazon will argue about the guaranteed delivery date, stating it was suggested or expected, and therefore not guaranteed. Be prepared to not receive any compensation for your trouble, and you'll be pleasantly surprised if you do. Readers, what are your thoughts on Amazon's delivery policy change? What has your experience been like since the new policy began? Let us know in the comments below! I recently ordered some equipment blades for a job this weekend. They were guaranteed to be delivered by Friday (3 days after I ordered them with Prine 2 day shipping) the blades did not come in and were postponed until the following week. I went online with Amazon customer service chat and complained. I was connected to a call center where a nice lady offered me a $10 gift certificate on my next order. This will help offset costs for locally sourced items, but does not cover the cost or inconvenience. I pay for Amazon Prime specifically for the fast and guaranteed delivery. This is disappointing from the most profitable corporation in America. I am shocked this is still up. amazon seems to squash the bad press pretty quick. I had to leave amazon prime last month due to their inability to deliver packages within even 3 or 4 days (often the packages never showed but were marked as delivered). This all started in my area after Amazon logistics began the local deliveries. I attempted to ask for help changing carriers and got nothing from amazon. A rare $5 credit but it just wasn't worth the increased $119.00. Funny thing is when I shut Prime off last month it came back on in 3 days on a month to month. I've been inquiring about a refund for that (which I didn't authorize) and am still getting the run around. Amazon has lost its awesome I'm sorry to say. The latest news in Amazon's deteriorating customer service is that they will no longer work with customers through email or chat. Until last week, emails to CS would give an immediate auto reply, and then be answered a few hours later. Now, there is no auto reply, and emails are simply not answered. Chat (with a real person) was helpful before March, but now it is an automated piece of garbage that is worse than totally useless. It looks like the ONLY way to try to correct a problem is to ask Amazon to call you back. That last recourse is not so good for those of us with hearing so bad that the phone is a difficult way to communicate. Time to cancel my Prime auto renew. Maybe Amazon will respond to a future loss of income. The amazon drivers that deliver my work don't even come inside, they shove the package though the door handle if it fits!!!! I've seen it done at least twice in the last week. Amazon is now in the process of changing over to their own Amazon Shipping company! They want to save money, but it's giving consumers a huge headache! No longer will the Amazon Shipping people leave your package unless someone is there to take it, or you advise ahead of time of a secure place for them to leave it. They will try for three day, then return it and give you a full refund. However, this is the fourth time I've received texts says they tried to deliver but no one was home! BUT I WAS HOME ALL DAY! No doorbell was rung, no knock, my two dogs did not start barking. I believe they just didn't bother to show up. Anyone know of a way to be able to choose your delivery carrier with Amazon? I hate to tell you this but many many many many.... no most mega corporations pay little to no federal taxes. They would fire their accountants if they did. There was one major US drug company that went so far as to move it's corporate headquarters to Ireland to avoid federal taxation. I'm not making this up. I feel a bit guilty posting the following, since everyone else seems to disagree with my positive experience. I've been ordering from Amazon since 2000, and for the past several years have averaged about 110 separate order per year. I live in the Rochester NY area, and don't recall ever receiving a shipment promised in two days late...and I always keep track of this. I don't know why I've had such good luck with shipping. Regarding Prime Video, I know I'm in the minority, but I think it has very good content, quite different from, but a good complement to, Netflix (which I also have). Having said all that, I'm not at all happy with the increase in Prime's subscription, which has become an issue. But for me, it's still worth it. By the way, I have absolutely nothing to do with Amazon, except as a customer. I'm surprised everyone has so many issues with Amazon. I live in San Jose, CA and I rarely have any issues with Amazon. To be fair, I pay the student price for membership so I pay half the price. I order about twice a month and I've had a few deliveries that were a couple days late but nothing major. I still love Amazon, but they have looked to decline slightly from a few years ago. It's too bad they took away a decent perk but I've never taken advantage of it so I don't mind too much. If you paid for Prime you actually paid more than Amazon paid in taxes, actually they got a $130,000,000 tax credit from IRS. That's right they got $130 million of your tax dollars.I guess they needed a bail-out. Think about that April 15.
dealnews, an Amazon "PR company". Are dealnews "reporters" compensated for the number of Amazon articles they post? A loss of thie "perk" after increasing the membership price by 2 bucks/month for WORKING folks. Thanks but no thanks. Dealnews touted this as a "perk", e.g., "how to get an extra month of Prime membership for free". The current article mentions that "Some [dealnews readers] boasted about getting six months or even a full year for free due to this perk." Basically, some readers exploited Amazon's generosity to the point where Amazon took it away. Blame the greedy readers who exploited this for their own benefit. I primarily use Amazon for price comparisons and reviews now. They seldom have the best price anymore. I find myself using Ebay more and more, although they are not without their faults. I am quite bothered by Bezo's unrelenting attacks on the President through his Washington Post as well, but that's a topic for another day. When you become a giant monopoly, you get to change the rules? Get enough of your customers disgruntled and they'll scream anti-trust. Having had my share of disputes with Amazon, I for one am almost to that point. What does "Prime" even mean anymore? I am curious why Dealnews continues to shill for Amazon. Not one of the comments from any of the recent postings about Amazon on DN is positive. Amazon is just a company that screws people over to feed themselves. Expecting any kind of customer service that you were promised only because you are nice when the giant screws you over is just a form supplication. If you have a problem, it's true your only hope this to talk nice to them because they have the power to cut you loose. Probably a nightmare for sellers as well because all the buyer has to do is say they didn't receive it and the seller eats the money. But if you're trying to sell a product you need Amazon. Don't be surprised if any amazon complaints disappear quickly. They are very good at controlling negative media. Dealnews obviously gets paid a lot for their click through's from Amazon so if Amazon says take these comments away, you know they will. It's possible Dealnews like many others are already owned by Amazon. I only wish they were as effective at actually having lower prices, not being full of fake reviews, and full of scammers who post something low but then never ship it. You can get a refund but months later after a lot of effort. Amazon is a business and their main purpose is to make money. Every penny. It's mostly list price now. We used to go to Amazon because it was cheaper, now for convenience. Usually about this point some Amazon fanboy says oh no they're awesome! Amazon has slowly increased the use of their own trucks/delivery drivers over the past few years. They rely less and less on USPS and UPS. The USPS contract with Amazon requires all deliveries be completed by 8PM, so I am betting those "delays" are simply to avoid 8PM failures. I now receive most of my Amazon parcels from Amazon drivers...and they are not any better than USPS or UPS. Actually they are worse because they can't seem to place a package by the door, they drop it on my sidewalk. I myself have received 4 or 5 monthly credits in the past few years, all done through chat. I even got an item refunded because it still hadn't arrived in 3 weeks..and when it actually arrived, I was told to keep it with no need to return. When Prime was only $79/yr, a 1 month credit was worth about $6.70. Now a 1 month credit is worth $10. I can see why they are trying to give only a $5 credit. My Prime shipping was terrible; half of my packages were late or lost, complaints about shipping problems in my area are funneled into the Amazon Logistics company where no one can offer you anything to compensate for the terrible service. The final straw was a lost birthday gift for my mother who lives in a different part of the country; I canceled my membership after that. My last interaction with them was awful, and they stated that nothing could be done until the package had been missing for 72 hours. The kicker was that I had paid extra for 1 day delivery on top of the Prime membership to make sure it arrived several days ahead of time. Their "perks" get worse all the time. There used to be a function to check your gift cards to see what the balance was. Now, there's no way to check your gift card balance without AUTOMATICALLY adding it to your account. I've had to argue for hours with them to remove the credit and "unredeem" the gift card because I was just trying to figure out how to check the balance without actually adding it to anything. Totally frustrating and just another way that Amazon screws with their customers. I only use Amazon now to pricematch. Plus, I still enjoy walking into the big box stores to get hands-on experience with whatever it is I want to buy. I experienced this policy change the other day when a package was not just late, but lost. I complained long and loud enough to the rep that his initial $5 credit offer was eventually bumped to $20. I'm sure I'll never see that much ever again lol. since they blacklisted me for too many returns, they can go fu...rnish a bedroom. they offer prime wardrobe but if you actually take them up on it wham black listed. Amazon has slowly but steadily declined in the last few years. Prices for prime have way surpassed inflation. This benefit discussed was actually removed last year as reported on dealnews. Prime video now has ADVERTISEMENTS as well as lower content. As stated the 2 day shipping doesn't start until it actually ships which is opposite of what the website says. (i.e. order by X time to get it by Y day). The shill reviews get worse all the time and its increasingly difficult to get things resolved. The issue of delayed, missing and/or re-routed shipments appears to be a function of the carrier used. In an apparent effort to save money with "free" shipping, Amazon seems to utlize either USPS or carriers with USPS parnership. In both cases, USPS appears to be the "weakest link in the (delivery) chain". With USPS, Amazon will sometimes notify you: "We're sorry, your shipment has been delayed or re-routed". Delayed for what reason or re-router to where? I probably put an order into Amazon about twice per week as an average, and I almost never get anything in two days. I used to complain, but now it seems to be the norm so it's about what I expect. I don't really even bother to check anymore. I live in a major city with a distribution less than 20 miles away from my home. I rarely see a Prime package in 2 days. By the time you add in 2 or 3 days of handling and 2 or 3 more days of shipping...if I order on Monday I might be lucky to see the item by Friday. Out of 6 shipments this month so far only one was delivered by Amazon Drivers locally--the remaining were all delivered by usps or ups, also lately I've noticed more and more items being add ons or subscribe and save. Amazon is almost never the lower priced anymore simply because they build in their shipping prices to the price of the item. Amazon is convenient when it works but simply no longer worth the price of Prime. I agree with AuntBubba that Amazon Prime simply isn't worth the expense for my needs. I don't watch their videos or use it for anything other than the guaranteed 2-day delivery. Last week I ordered some flooring perimeter sealant that sells for the exact same price at one of the big box hardware stores approximately 30 miles from my house. I needed it in three days so thought I would be safe. Five days later each time I called their robot told me in was i the warehouse just about to ship. I messaged them and told them my issue and also told them to cancel the order and close my Amazon Prime account issue me a refund for the balance as it was just renewed. They immediately apologized, sent it by express next day delivery and provided me a $10 credit even after I told them I was not interested in being credited I just want my sealant. I make 4-8 orders from Amazon per year it is foolish for me to remain a Prime member. They have to pay for all those ambulances Amazon keeps parked outside their warehouses because of the abuse of their workers. I use Prime a lot so I guess it's worth the fee but I find that it used to be a lot better in the past than it has been in the last 6 months. I have at least 2 Prime items on order right now that are at least a week overdue. I live in Cincinnati. (as my screen name says) I live about 15 minutes from the Prime Air hub and right about 100 miles from another major distribution hub. I see Prime Air planes taking off from CVG every day and I see Amazon semi trucks every single day so I am in the thick of their shipping infrastructure. My shipments are for the most part on time but I constantly have shipping delays. I can't imagine what someone who lives in a rural area in a lesser populated state endures in the way of shipping delays. I have stopped calling Amazon for shipping delays. It seems like I get more runaround than I get resolution. Maybe I'm becoming complacent about my issues because there isn't any real restitution paid for doing so. I think that this may be their goal.